After waiting three days to post a carefully crafted PR response in the wake of a massive data harvesting scandal, Facebook CEO Mark Zuckerberg is set to appear on CNN at 9 p.m. Wednesday night - most likely to answer a series of scripted softball questions over what has gone from an already-huge controversy involving UK political data firm Cambridge Analytics - to a much larger discussion of the ways in which Facebook handles user data. Why he chose to appear on CNN - president Donald Trump's "favorite" channel - and risk further alienating half of Facebook users who believe the company is rife with liberal bias is anyone's guess, but is par for the course for Facebook which has so far been a case study in how not to do damage control. Or just maybe whatever damage control experts Facebook is using, wanted to avoid another awkward, sweaty "hoodie moment" while discussing violating people's privacy. As former BlackRock money manager Ed Dowd notes, in 2011, Facebook's revenue was $3.7 billion with 1 billion users, while in 2017 it was $40 billion at 2 billion users. Dowd, CIO of, OceanSquare Asset Management which he co-founded with two other BlackRock alum and a Wall St. marketing veteran went short Facebook in size in late February - flipping from a 55% long-only equity position to a 2% net long position, while tactically shorting Facebook, Google and Tesla. Dowd says that Facebook's new data harvesting controversy may put the company's "micro targeting" business model on tilt. Meanwhile, Zuckerberg has been called on by a UK parliamentary committee to offer evidence in the case against Cambridge Analytica - the consulting firm accused of harvesting the data of 50 million Facebook users for political purposes and then failing to completely delete said data when told to do so. 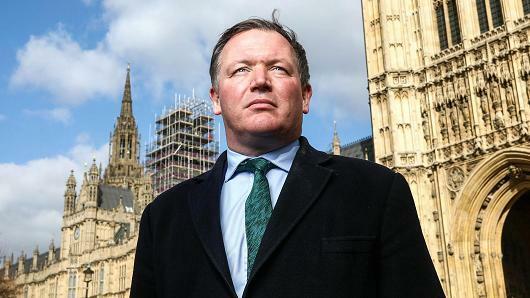 Damian Collins, chairman of U.K. House of Commons digital culture and sport committee told CNBC that the data scandal "is Facebook's responsibility," adding that the company's responses in the past "have massively understated the risk to users." In fact, the company first knew about the data collection in 2015 yet didn't take any action against Cambridge Analytica until Friday, Collins contended. 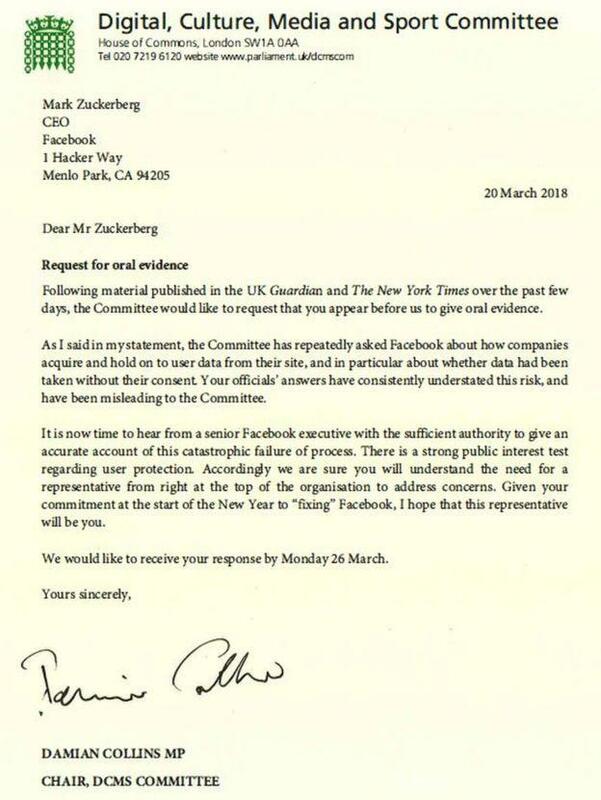 In a letter to Zuckerberg, Collins accused Facebook of providing answers which were "misleading to the Committee" during a previous hearing when asked whether information had been shared without users' consent. Collins says it's "now time to hear from a senior Facebook executive with the sufficient authority to give an accurate account of this catastrophic failure of process." Facebook has lost approximately $50 billion in market cap since the Cambridge Analytica scandal broke over the weekend - with the stock shedding approximately 8.6% since Friday's close. Shares attempted a recovery on Wednesday, only to stumble again midway thorough the session and close up .74%.